Working Hard and Delivering Results for Homeowners Since 1995! A responsible homeowner will vacuum and clean spots in their home's carpet on a pretty regular basis, but eventually, a deep carpet cleaning is necessary as some dirt will sink much deeper than a vacuum can reach. A professional deep extraction can also help to ensure that bacteria, mold, and even odors are cleared out. White Cleaning Services has been working since 1995 to be the carpet cleaner folks can rely on for restoring the look and even performance of your carpeting investment. 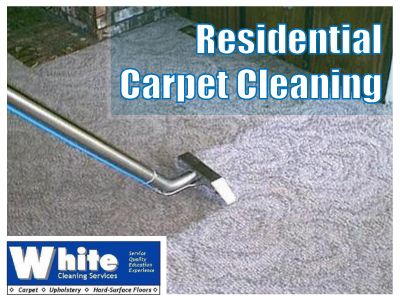 Our service is provided with professional cleaning products and a commercial grade truck mounted carpet extractor. This provides you with a deep, steam cleaning that we are sure to remove any dirt or impurities that are present. We also help to take care of most spots or stains in the carpeting. Some ground in dirt or stains can be impossible to remove depending on how long they've been there. But if it can be restored, then we're the ones who can do it. Our goal is to provide a quality cleaning service for an affordable price, and our ability to do that has kept us going strong with repeat customers for decades. We can clean almost any type of carpet and we also can take on any upholstery cleaning needs at the same time. We're ready to handle all the carpet in your home (or even in your business---we do COMMERCIAL carpet cleaning as well!) and no job is too large for us. Glenn White and his staff are ready to make your acquaintance and give you a competitive quote to bring your carpets up to the highest standards. 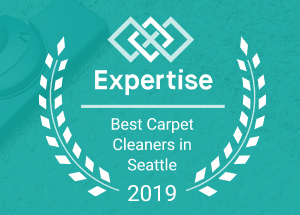 White Cleaning Services has served Seattle, and specifically, Normandy Park carpet cleaning needs---we'd like to make you another please and repeat customer. Call us for a quote today at 206-915-4409 or you can fill out our contact form. Let us be the answer to your carpet cleaning needs!